Product prices and availability are accurate as of 2019-03-22 21:13:22 EDT and are subject to change. Any price and availability information displayed on http://www.amazon.com/ at the time of purchase will apply to the purchase of this product. 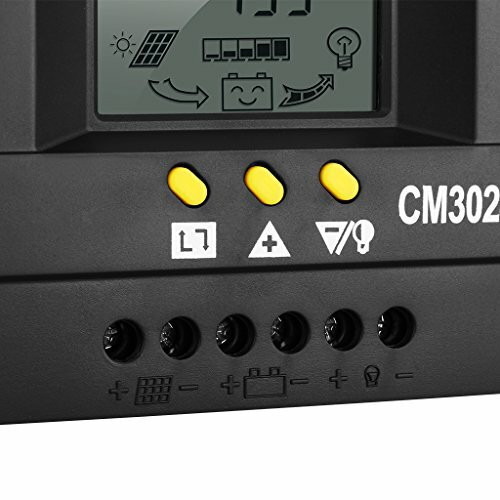 Finether solar panel charge controller is multi-functional as well as portable. It features a large LCD display and adjustable setting to allow you to master the whole charging process and choose the best setting for your need. 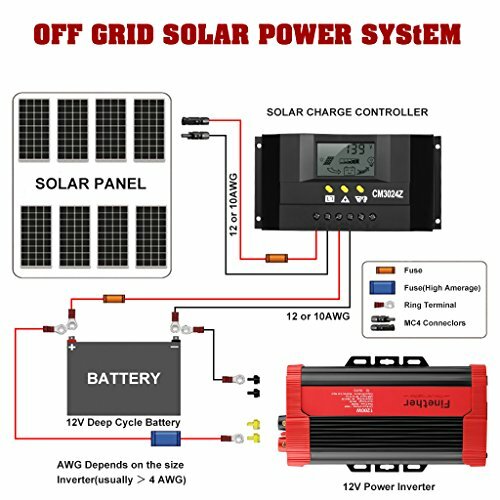 It can protect the solar charging system when it overheats or experiences a power overload, short circuit, open circuits, over/under voltage or reverse-polarity. It is great in function yet compact in size, so it can be easily stowed away when not in use. 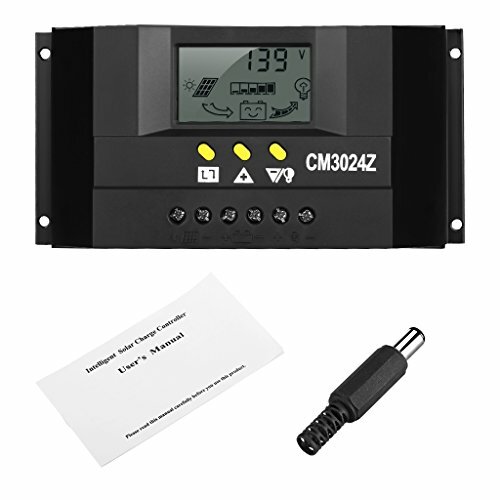 A GOOD PARTNER FOR SOLAR CHARGING: this handy Finether solar panel charge controller can manage the working of solar panel (30A current) and battery in solar system, perfect for small solar charging system. 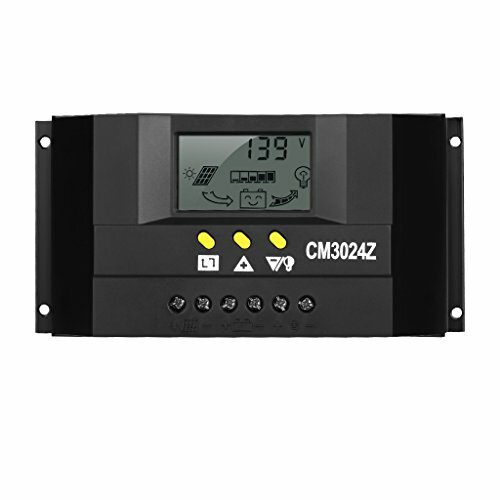 PROTECT YOUR BATTERY & APPLIANCES: 3-stage charging is designed to charge the batteries efficiently and safely; it can block reverse current and protect against battery overcharge, battery discharge, overload, reverse charging, short circuits and open circuits. AUTO BATTERY SELECTION & Temperature Compensation: this charge controller can tell if the connected battery is 12V or 24V and charge it accordingly; it can sense the outside temperature and prevent batteries from getting overcharging to increase battery life. 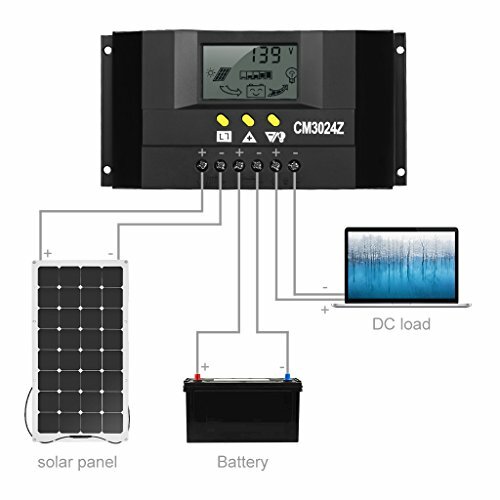 ADJUSTABLE WITH VISUAL INFORMATION: simple button operation lets you easily scroll through 10 menus to read the information of the solar charging system on the large LCD display, and choose the perfect charging setting for your need. PORTABLE & STRONGLY BUILT: weighing 1 lbs and measuring only 7.1 x 3.5 x 1.6 inches, this compact unit can be easily stowed away when not in use; durable ABS and metal housing for added protection against drops and bumps.